The kitchen is the hub of home – preparing meals is not only to be done. It can be used as an entertainment place and a home office. It is the most common and unavoidable gathering spot in many homes where all gossips are done and memories are made. This makes it the most important part of the house and gives rise to the need of decorating it in the most elegant manner with best comforts. If you truly love your kitchen and wish to be designed and decorated in an ideal manner then start planning its layout. Many people when re-modeling the interiour of the house will opt to do both bathroom and kitchen renovations at the same time. In some houses, the kitchen is positioned near the entrance area which makes it crucial for it to be designed trendy with perfection. Making the right design and décor of the kitchen will not only facilitate in better functionality but also reflect the housekeeper’s lifestyle. Kitchens are minutely designed and customized according to owner’s desires, preference, and lifestyle. How can we be helpful making your kitchen more useful and attractive? We are always there to facilitate you so that you are able to choose the best design for your kitchen that Not only functions in the best manner but is also personalised for you working in a kitchen with the most amazing demeanour would enhance the quality of your mood and work. It is extremely important for us that each utilises their kitchen space in a different manner and hence we have a number of kitchen designs that best suit your needs and desires. Customer satisfaction is our key to success, so we listen to each ones needs and thoughts carefully and our designers create a unique personalised design options for you. Ask for ideas and suggestions from your family and friends – a guest’s perspective would prove most helpful and effective. Magazines and home décor books are also a great source to explore. Your space will be unique and different in all aspects so what you need is to take certain aspects from various designs and combine them together to create your ideal kitchen space. We are always there to assist you in the best possible manner – our product knowledge and experience would help you to select the best combination with maximum functionality best suited to one’s lifestyle, choice and budget. A remodel would help not only in getting an aesthetically appealing kitchen but also update the kitchen design layout. A perfect personalised layout would best for entertainment, functionality and daily use. 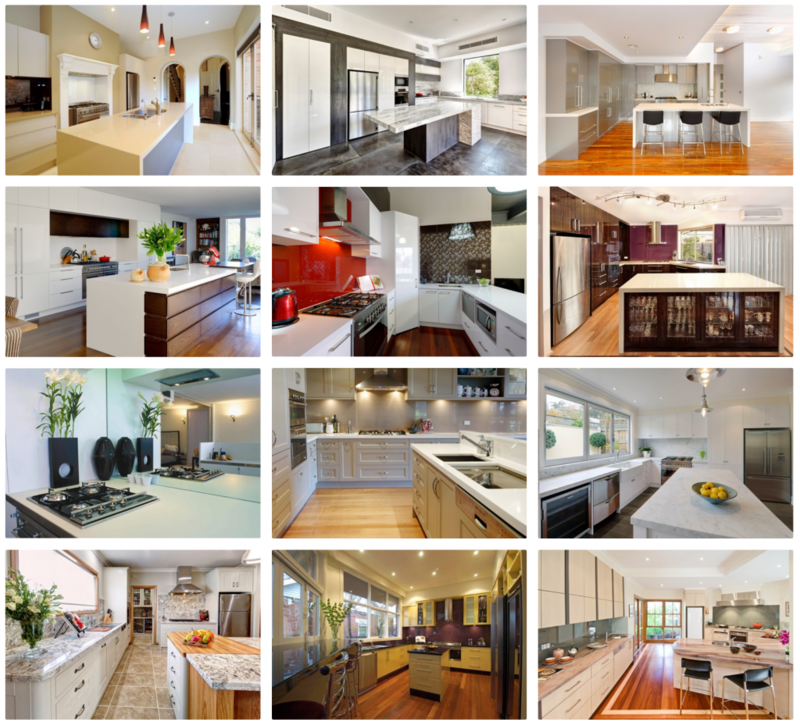 What do we include in our kitchen design services?